As adults we focus on play as a break from the seriousness of work and responsibilities. In the world of a child, however, play is filled with the seriousness of learning, discovering, experiencing and understanding. Through play, children begin to develop an understanding of their surroundings and their place within life, their community and their family. 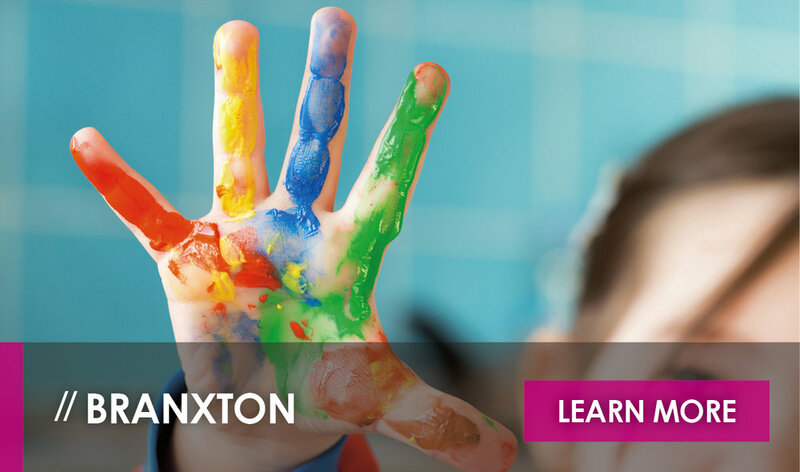 With the seriousness of play in mind, St Nicholas Early Education offers a play-based, child-led early education experience with a focus on nurturing curiosity in order ignite the flame of life-long learning in every child. 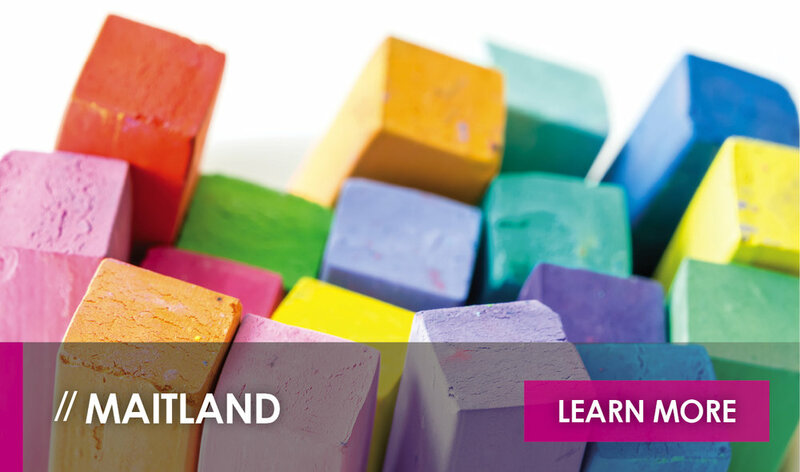 The largest St Nicholas Early Education centre, Lochinvar is a 124-place centre featuring a dedicated nursery catering to children aged 0 - 2 years. 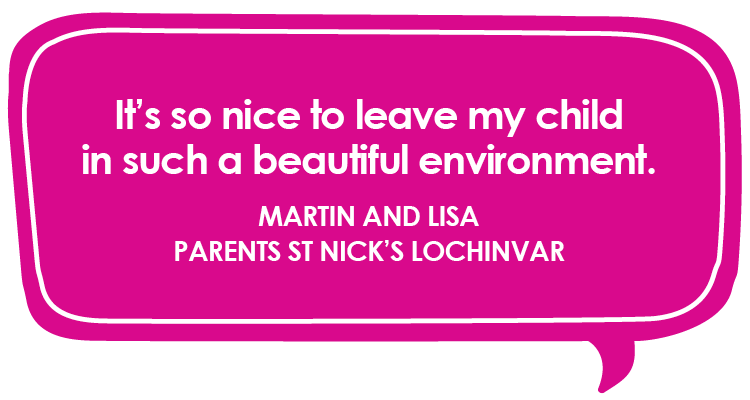 Our Lochinvar centre provides nappies for all children and cot linens in the nursery. 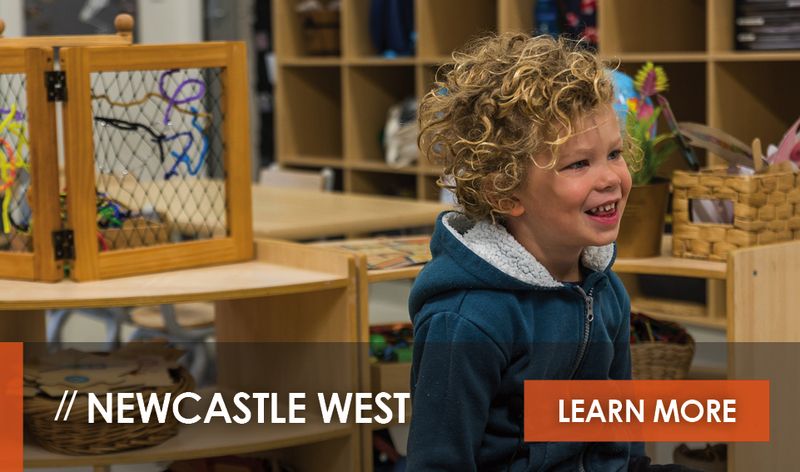 In addition to the nursery, St Nick’s at Lochinvar includes a 30-place two-year-old program, a 30-place three-year-old program and a 40-place preschool program suitable for children aged four to five years. 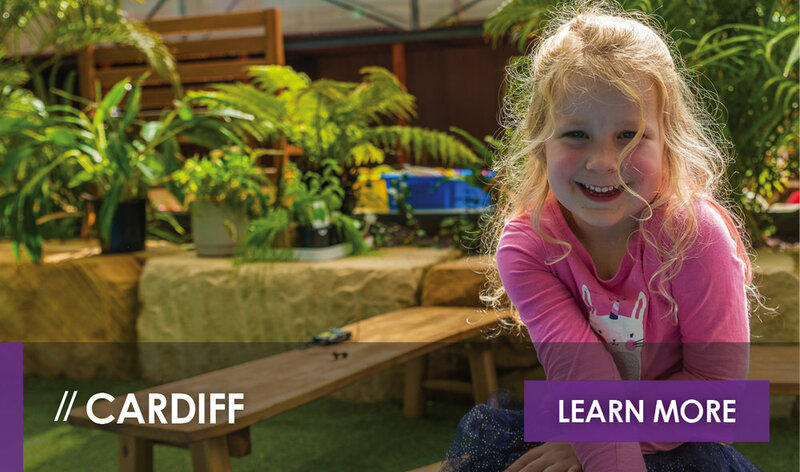 The Lochinvar centre has a fully functioning commercial kitchen with all meals and snacks provided for children aged 0 - 3 years. This includes breakfast, morning tea, a nutritious lunch, afternoon snack and a late snack. Lochinvar’s preschoolers have breakfast, morning and afternoon tea provided. As part of our Transition to School Program, they bring their midday meal to “school” each day. The Lochinvar centre also features a full-scale barista bar so parents can place their coffee order, drop their little ones off and grab their delicious coffee on their way out. 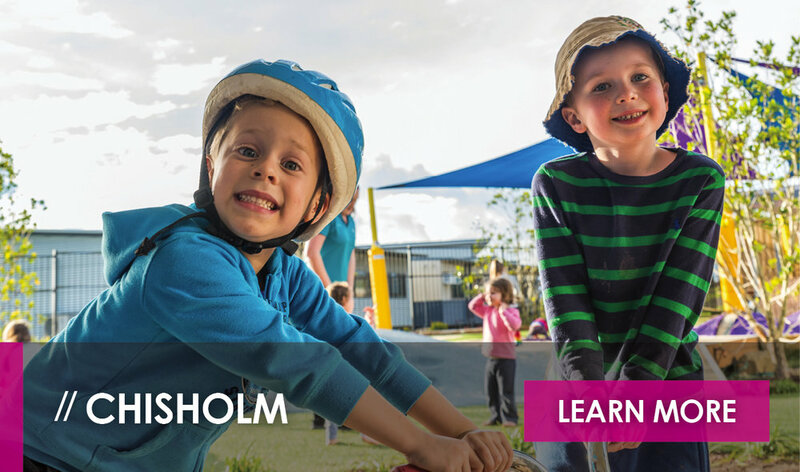 As our largest early education centre, Lochinvar also features our largest preschool program. 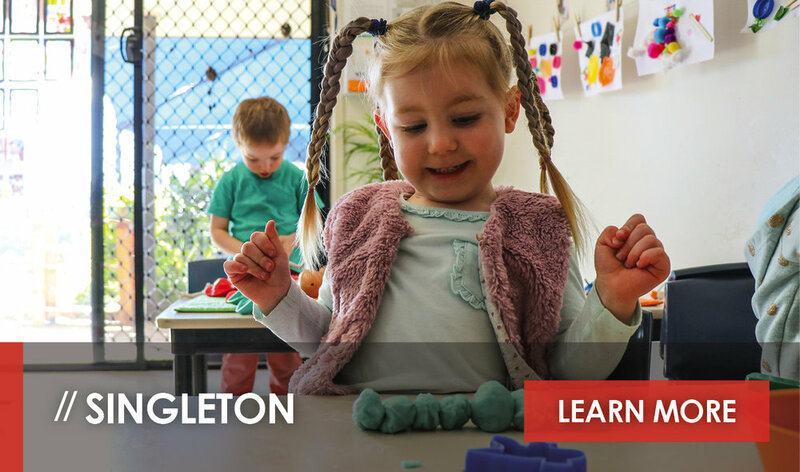 Our Transition to School program is an important element of our curriculum, particularly for children who will be making the journey to primary school. 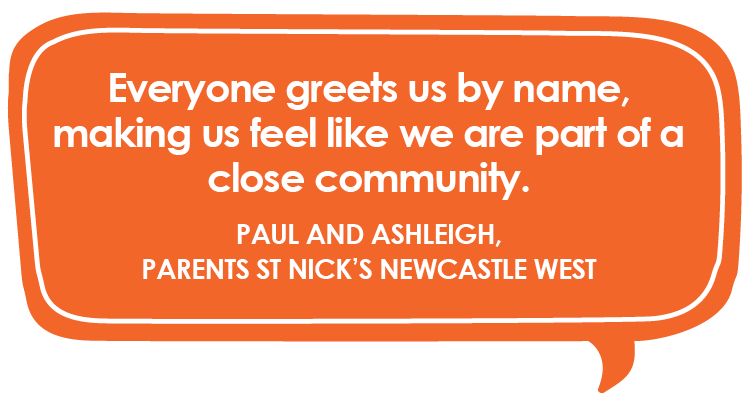 The Transition to School program at St Nick’s at Lochinvar offers children the chance to familiarise themselves with the routines of school life as well as the primary school setting. 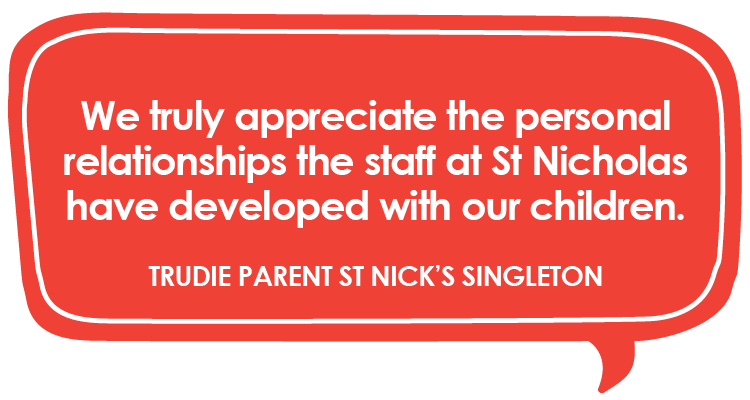 Being co-located with St Patrick’s Catholic Primary School provides an immersive experience for children as they can hear the school bell and watch the older children play and interact with one another. 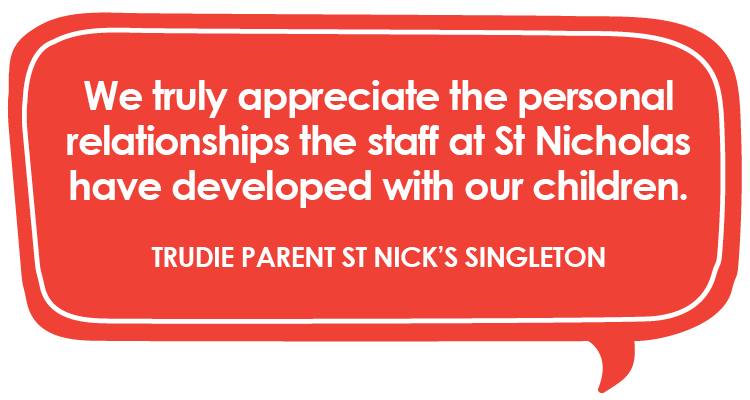 If you would like more information about enrolling your child at St Nick’s Lochinvar, please fill out the contact form on this page and select Lochinvar as your centre of choice. A friendly member of our Lochinvar team of educators will get back to you shortly. Staff profiles are coming soon! 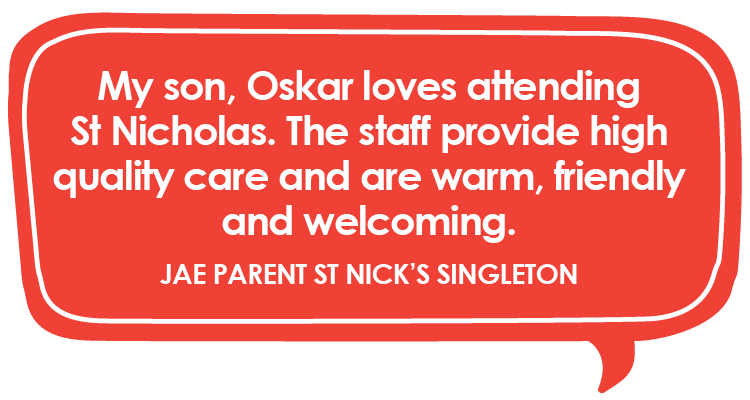 For more information about our St Nicholas Early Education centre at Lochinvar, please contact us here, or request a tour. 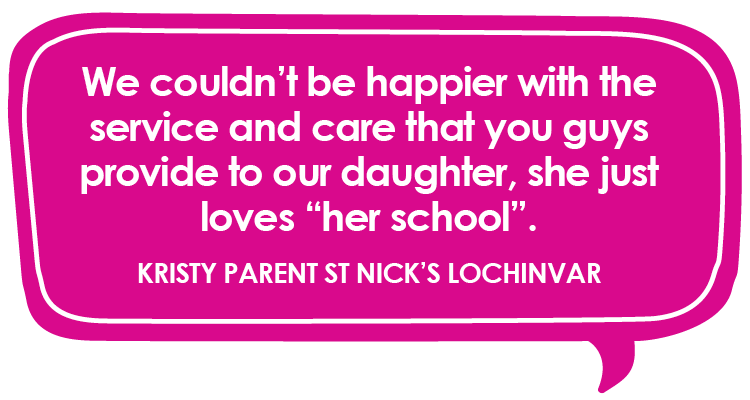 A Lochinvar local, Elisa is mother to three sons all attending local Catholic Schools. 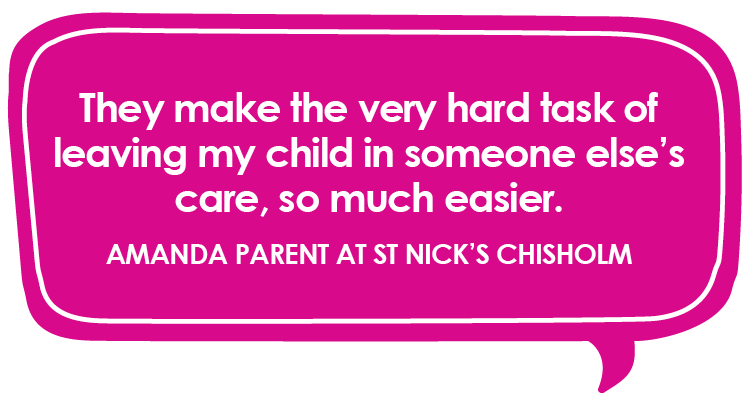 Elisa has worked in early education for more than eight years over three different services. 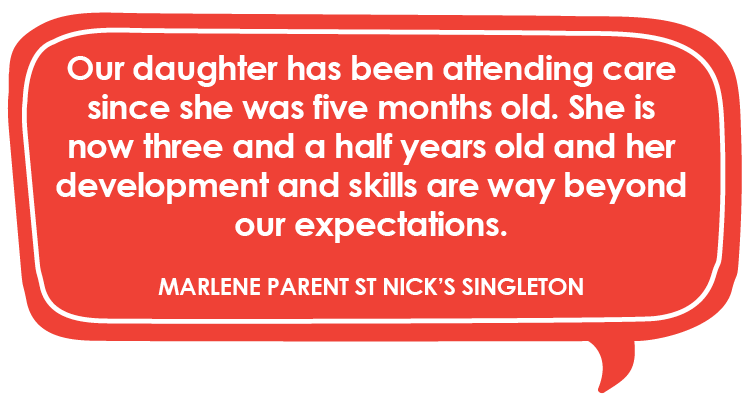 In addition to working in early education centres, she has also worked within primary schools. 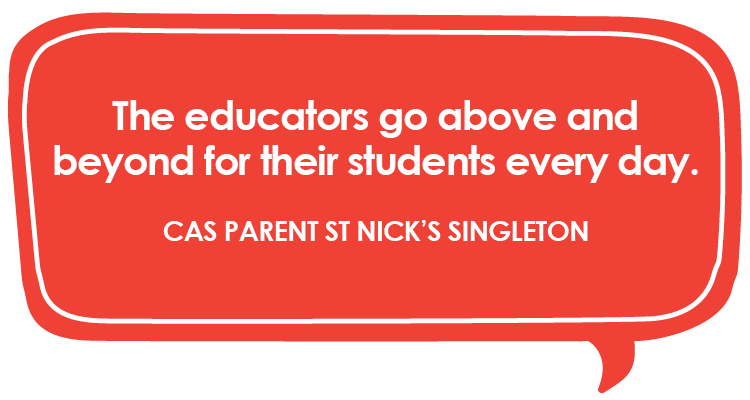 Given the diversity of her experience, Elisa brings a wealth of knowledge, understanding and compassion to the St Nicholas family. 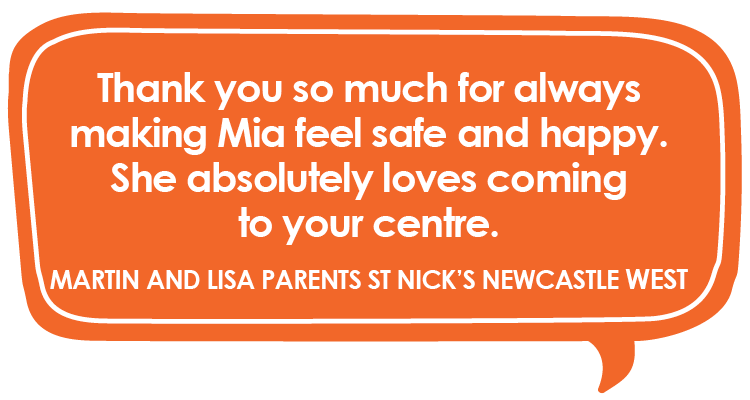 As the director of a brand new centre, Elisa had the opportunity to setup the centre prior to its opening. 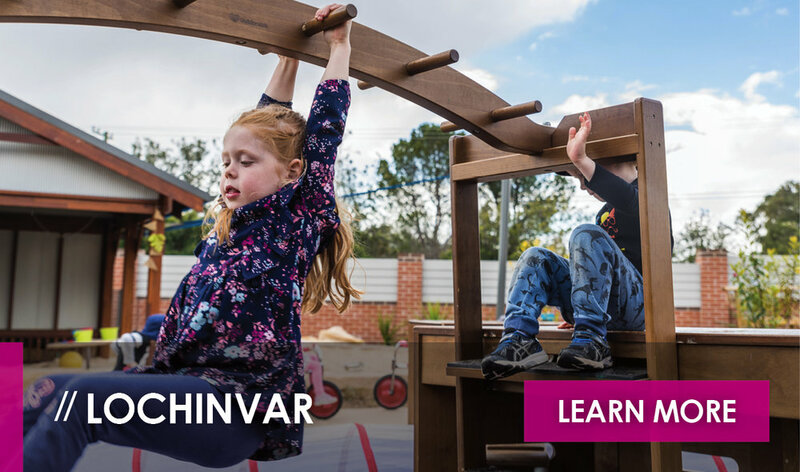 As a result, her personality and early education philosophy has made its way into a number of the exciting natural play elements found at St Nick’s at Lochinvar. Elisa’s favourite part of working at Lochinvar is greeting families and their children each day and welcoming them to the centre.